Silence that holds a thousand dreams. Patience that embraces its own truths. Stillness that reaches deep within. 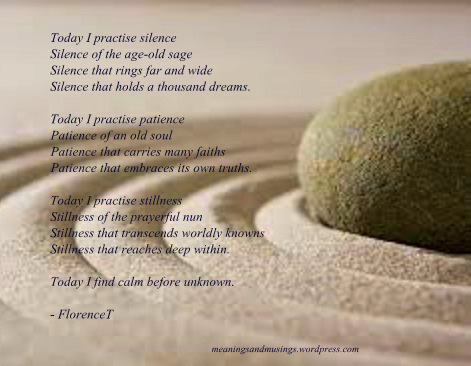 Today I find calm before unknown. This was just a soothing and well-times read for me this morning.